Thanksgiving is coming so i think it'd be a nice dish to share. 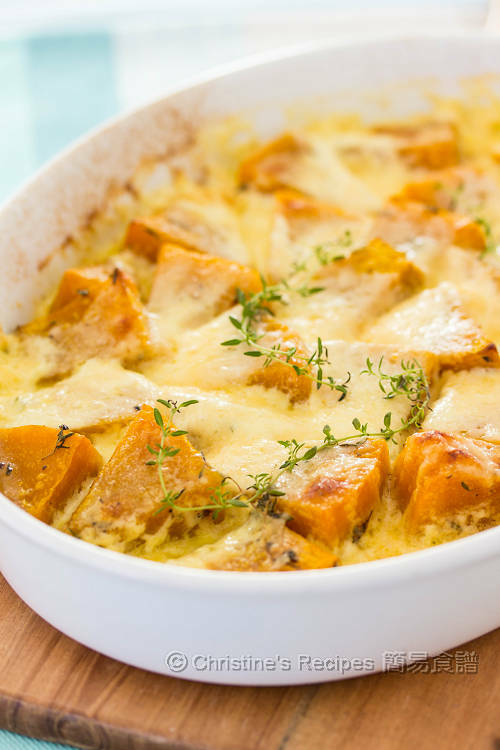 Just wanted to know if i can use a non-stick baking pan (9" x 13") to make this dish? 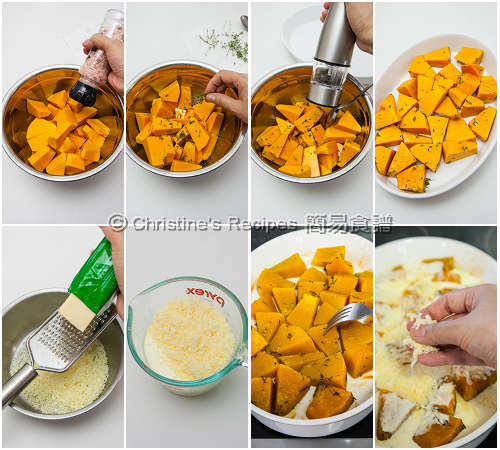 If i choose to use squash instead of pumpkin, is it okay? It doesn't matter if the pan is non-stick or not. I used ceramic baking tray that will keep most of the moist of the vegetable. Squash is ok. I forgot to ask the quantity (南瓜 約 650克) can serve how many people? I live in the US and i couldn't get the word "light thickened cream". is there another name or any other substitute works? Could feed 2 to 3 people, depending on how hungry they are. I think you can use light cream or single cream. I tried to find "light cream" or "single cream" at the supermarket but got no luck. i found one called "cooking cream" and look pretty thick from the picture. Is this cooking cream okay? If not, I will try to find light / single cream at other stores. Thank you. I am attaching the weblink to show you what cooking cream i saw. And, is the cream u used liquid? The cream on the product page looks too thick. Mine is not runny though, it's quite thick, but not as thick as the picture you sent me. I guess double cream will do if you can't find any light / single cream. Thanks so much for answering my questions. However, the store staff seemed not to understand what is double / singer / light cream. I guess people in different countries call different names. Can I use whipping cream or whipped cream? I have some fat-free whipped cream home. Is that okay? Or if whipped cream is okay, I should use non fat-free instread of fat-free? Whipping cream and whipped cream are commonly known in the US. I really want to try making this dish! Use whipping cream then. Either fat-free or non fat-free will be fine. Thanks so much for answering my "numerous" questions about the cream. 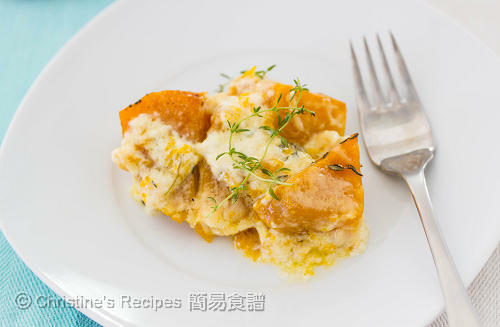 i tried using whipping cream and finally i could make this dish. yay!!! u are absolutely right. it's very delicious! i guess what u meant 胡椒粉 is black pepper but i put white pepper before i could think of black pepper. anyway, it's okay to put white pepper. next time, i will remember to put black pepper (not white pepper) as i think black pepper works better. Wow, that's incredible. So glad that your girl loved it.